Will Your Estate Plan Be Impacted by the New Tax Law? When the Tax Cuts and Jobs Act (TCJA) was signed into law in December 2017, it brought numerous, significant changes for individuals and businesses alike. One important change to the tax code under the TCJA is an increase to the estate and gift tax exemption. Previously, estates and lifetime gifts valued at $5 million (or $5.49 million, indexed for inflation) and higher were subject to federal estate taxes. The new limit, effective January 1, 2018 through December 31, 2025, is $11.2 million ($10 million base) for individuals and $22.4 million ($20 million base) for married couples. Put simply, the vast majority of American estates are now exempt from federal estate taxes. It’s important to note that if you live in one of the 15 states with an estate or inheritance tax (or both), your estate may still be subject to state taxation if its exemption limits are not tied to the federal limits. Detailed information can be found on the Tax Foundation website. Although your current assets may be nowhere near the new federal exemption limit, now is a good time to review your current will, trust, powers of attorney, or other estate planning documents. These new limits are only in place through the 2025 tax year, and will return to the previous $5 million limit afterward. The limit increase could even be reversed sooner, depending on congressional and presidential elections between now and then. During this temporary increased exemption period, you can clarify your estate plan and ensure that your loved ones are set to reap the maximum benefits – with the least amount of taxes – when you pass away. Of course, taking advantage of these exemptions requires estate planning documents with the proper legal language and specificity to make sure your wishes are honored. For example, married couples must invoke portability in their estate plan for the surviving spouse to avoid the estate tax on spousal inheritance that was within the exemption limits. 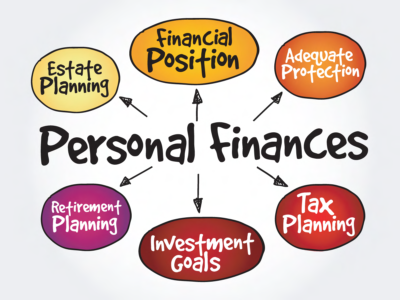 It’s also critical to customize your powers of attorney with specific instructions regarding the distribution and gifting of your financial assets. 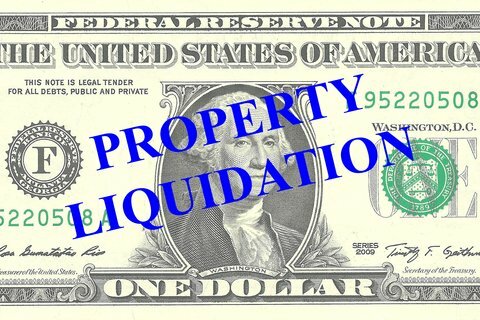 If your POA is too vague or general, your estate executor and/or financial agent now may not be able to distribute your estate plan to ensure the greatest tax savings to your estate or may have access to a loophole to legally distribute your money as they see fit – and not in ways you intended. Any time there is a change in tax law, life circumstances, or both, you’ll want to consult an experienced estate planning attorney who can help you navigate the complex and often emotional facets of planning for your family’s future. 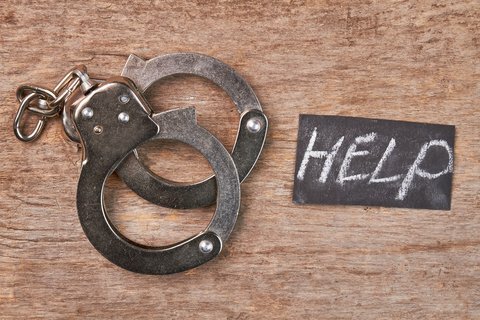 Contact The Law Office of Patricia E. Tichenor, P.L.L.C. to speak with one of our counselors about your estate planning needs today. Divorce laws vary from state to state, and are generally controlled by the statutes of the State where the parties last cohabitated as husband and wife. But, what if you are a member of the U.S. Armed Forces? Do the same rules apply? When it comes to military divorces, special rules and requirements apply to U.S. service members and their spouses. Divorce in that situation can be controlled by both State and Federal statutes. When serving active duty, the service member is generally protected from divorce proceedings under the Servicemembers Civil Relief Act (SCRA) that states that a service member cannot either be sued for or begin divorce proceedings while they are on active duty or for 60 days following active duty (at the court’s discretion). In addition under SCRA, a court can delay divorce proceedings during the time the service member is on active duty or for up to 60 days afterward. Prior to a divorce being granted, the court in which the case is filed must have both personal jurisdiction over the parties and subject matter jurisdiction over the specific area of the law involved (e.g., military courts do not hear divorce cases, and state courts do not hear military cases). “Jurisdiction” over the parties generally (or their last marital residence) will determine which court has the authority to make decisions regarding the divorce. For civilians, it is most often where they live; their state of legal residence. With military divorce, because a member of the U.S. Armed Forces can designate residency in state where they do not reside full-time while in active duty, determinations of “jurisdiction” often are controlled by where the spouse filing for the divorce resides, particularly if that is where the parties last cohabitated together as husband and wife. In some instances, where the real estate the parties own or where the children are being raised plays a significant role as well in deciding which court has proper “jurisdiction” over the case. Hence it is recommended to obtain a family law/divorce attorney to properly guide you on which state is proper or best to file in for the divorce. 3. In the state where the military member is currently stationed, whether or not they are a legal resident of that state. In the event of divorce, a military pension is subject to division between spouses and under the federal statute known as the Uniformed Services Former Spouses’ Protection Act (USFSPA). Depending on the state, it can be treated as sole or community property, and divided between or awarded to a spouse based on that state’s specific laws governing divorce. The USFSPA guides the court on how best to address issues like military pension, child support and spousal support. Military spouses are also subject to the “ten year rule,” which allows a former spouse to receive direct deposit payment of his or her portion of the former service member spouse’s military retirement from the Defense Finance and Accounting Service (DFAS) so long as there was ten years of marriage that overlapped with ten years of military service. As an example, if a couple were married for 15 years, with the military member serving for 8 of those years, the spouse would not be eligible for direct payment through DFAS, and s/he would then have to receive those amounts on a monthly basis from the military member spouse until paid in full. However, if a couple were married for 15 years and the military member served for 12 of those years, all payments would be by direct deposit from DFAS to the former spouse would be made by DFAS. A spouse cannot collect his/her portion of the retirement pay until such time as the retiree applies for it; therefore, some people put a specific time frame as to when to begin claiming/receiving benefits into their divorce settlement. The maximum amount a spouse can receive of the military retirement income is 50%. If the payment also includes child support, the maximum combined amount deducted from the disposable retirement pay cannot exceed 65%. Both the military member and the spouse should be aware of the full value of the pension when settling a divorce. • There was a 20-year overlap of marriage and military service. In addition, in cases of divorce, the ex-spouse of a military member is no longer a beneficiary of the Survivor Benefit Plan, as they were while married. This benefit must be addressed in the divorce settlement. 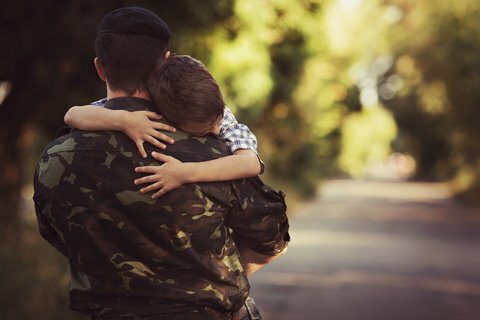 The military has specific rules for determining spousal and child support and may also require the payor-spouse to maintain life insurance covering these payments for a specified period. A divorced spouse will no longer qualify to take advantage of on-post military housing and will need to find housing elsewhere. Since there are special rules and regulations regarding a military divorce, it is best to seek legal advice before taking action. At the Law Office of Patricia E. Tichenor, P.L.L.C., attorneys Patricia Tichenor or Camellia Safi would be glad to provide representation in seeking your divorce or assist you with issues of child or spousal support. Located near INOVA Loudoun Hospital in Leesburg (Lansdowne), Virginia, we serve clients throughout Northern Virginia. Please contact us today.